Photo courtesy WashU Sports Info. Some people play sports. Others live and breathe sports. The Ballard family of Manhattan, Kansas, are one of those families in which sports seem to be a way of life. As long as Caroline Ballard could remember, her family bled purple and white for nearby Kansas State University. Her grandfather, Ross Ballard, was on the famous 1958 Final Four team. Her sister, Audrey, was a Kansas golf champion while in high school. Her brother, Joe, doubled as engineer and athlete for Rice’s football team. One could say playing sports at an extremely high level wasn’t optional for Caroline, it was a way of life. Growing up, just off the K-State campus, some of Ballard’s fondest memories are tailgating before K-State games and watching the Wildcats compete on the court. Of course, seeing her team lose to the dreaded Kansas Jayhawks were, on the contrary, the most painful. Though she saw everyone from Darren Sproles to Michael Beasley step foot on the Kansas State campus, some of Ballard’s fondest memories are those formed with her family members. After ditching her first love of soccer for the hardwood, Ballard began to learn the importance of repetition in becoming a master at her sport. She began to shoot 500 shots a day in part because she knew that for her brother to commit to D-1 football, it took a whole summer of commitment. “The closer you get to your goal, the harder you need to work, Ballard recalls her father, Steve, telling her during her recruitment process. That she did, both on the court and in the classroom at Manhattan High School. 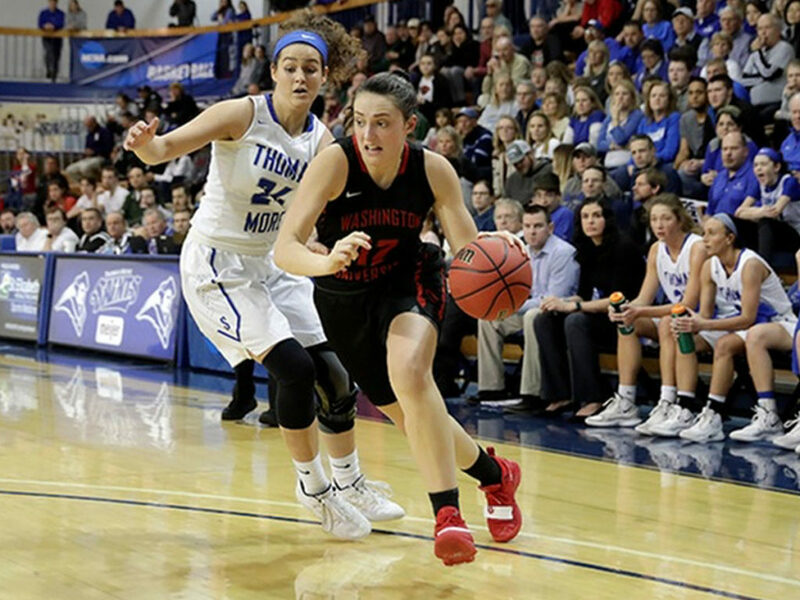 By the time she was a senior and seasoned veteran on the women’s basketball team, Ballard had become a McDonald’s All-America nominee and was Manhattan’s leader in points per game. Sports have been consistently in Ballard’s life since birth, but really it’s always been bigger than sports themselves. 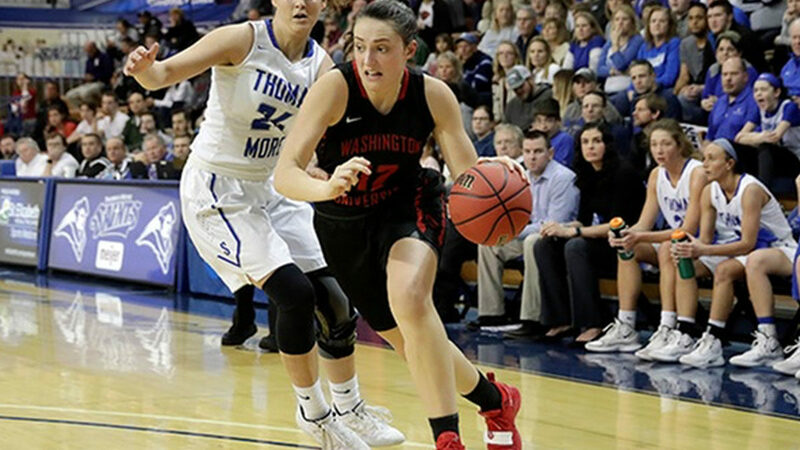 As a team captain for WashU this year, Ballard was often seen bringing the energy for her teammates. One of her favorite memories was a sophomore year comeback first University of Chicago in which the Bears scored nine points in just 47 seconds to win the game. This year, she averaged 7.7 points per game and shot 37 percent from three this year and brought her squad to the Elite Eight. All in all, she’s most fond of her hustle plays, dagger threes and ability to bring positivity to the game. While helping lead the team this season, Ballard was busy studying Parkinson’s for a local neurology lab. (Yes, she graduated early). Set to take the MCAT in early April, Ballard has quite the future ahead of her. Next time you’re watching an NFL game, check the sidelines. You never know who the team doctor will be.